This Mini USB Wall Adapter is ideal for charging mods like the GS G5 AIO Sub Ohm Kit, the Eleaf iStick series, the Innokin Cool Fire IV and others. 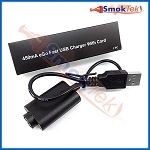 It is compatible with 510 devices, including eGo batteries and pass-through eGo batteries. AC Wall Adapter only. This unit does not include an USB charge cable. To use, plug your USB charge cable (sold separately) into the wall adapter, then plug into a wall outlet. 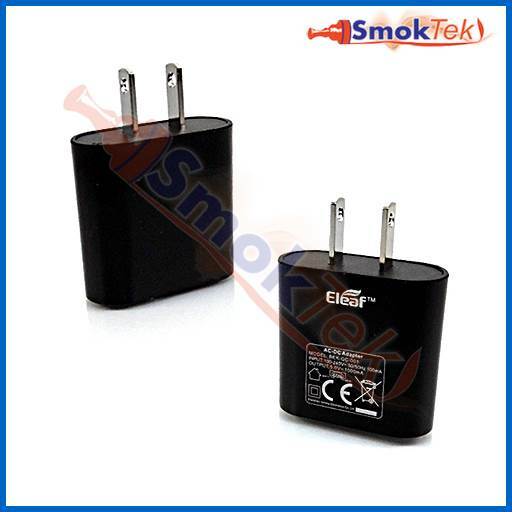 Q: Is this a correct charger for SMOK V8 3000mh stick battery? A: This isn't a 'charger', but just a wall adapter that you would plug a USB charger into. So, no.